Cairo, the Triumphant City, known officially as al-Qâhirah, is one of the world’s largest urban areas. It is located on the banks and islands of the Nile River in the north of Egypt. Cairo is in every respect the center of Egypt, as it has been almost since its founding in 969 AD. 15% of all Egyptians live there. The majority of the nation’s commerce is generated there, or passes through the city. Cairo is an amazing city full of life and movement, and it is that way almost 24 hours every day, with the noisy honking of horns, children playing in the streets and merchants selling their wears and services. And here, the Egyptians are most at home in this powerful, modern and ancient city. Cairo is a great city for its lifestyle. You will find Cairo has a mix of historical and modern cultural sight. It’s chaotic, exotic, smelly, dusty, and also beautiful, but more than 16 million people call it home and now you are among them. Cairo is the capital city of Egypt in northeastern region of the country. About 16.1 million people live in Cairo’s metro area, making it the most populous city in Africa. In Arabic, its name is Al-Qahirah, which means “The Triumphant,” though it’s often known simply as Masr, the Arabic word for Egypt. Cairo is the cultural and economic center of the region, and has been for thousands of years. Cairo is located at the southern tip of the Nile Delta, where the area makes the transition from desert to fertile plain. The oldest part of the city is just east of the river, but urban expansion means that the city now straddles the Nile, along with occupying some of the islands in the river. Much of the city is now in the desert itself, aided by the expansion of the water supply. Egypt’s history stretches back thousands of years, possibly to the birth of civilization. The country’s tourism dollars are based on travelers’ fascination with ancient Egypt. About 5,000 years ago, northern and southern Egyptian kingdoms were united under Narmer, who became the first Pharaoh. He chose the city of Memphis as his capital, about 15 miles south of what is now downtown Cairo. During the time of the Pharaohs, numerous monuments and edifices were built, including the Great Pyramids and the Sphinx. The first pyramid, designed by the deified architect Imhotep, was built about 4,500 years ago. With the famed death of Cleopatra in BC 30, rule of Egypt was transferred to the Romans, where the country became just one of the many Roman provinces. Cairo is the economic and industrial center of Egypt. More than two thirds of the country’s gross national product comes from the Cairo metropolitan area. It’s long been known as the manufacturing capital of Egypt. Cotton textiles, agricultural products, chemicals, plastics, automobiles and other goods are all produced within the city. Just outside of Cairo, in Hulwan, is the center of the iron and steel industry in Egypt. Cairo is also a central shipping hub for the region. Cairo’s connection to the ocean is on the Nile river port of Bulaq on the north end of the city. From there, goods can be transported throughout the country by rail and road. The Suez Canal, which connects the Mediterranean Sea and the Red Sea, is a major revenue source for the Egyptian government. Driving in Cairo is a whole another experience probably best left to experienced taxi drivers. The country has the highest rate of traffic fatalities per mile driven in the world, so the danger isn’t a joke. If you’re determined to brave the twisting streets, it’s best to keep a few things in mind. No one obeys traffic law. Signs, lanes, right of way, and other things we take for granted in America are blatantly ignored. The main exception is that all passengers must wear a seat belt, and police are very stringent on this one rule. Also, parking the car is a hassle, but worth following the rules, because your car will likely get booted or towed. It’s not expensive to get your car back, but it could easily take a day or two to track down who towed your car and where it is now. In Egypt, you’ll need to have an International Driver’s Permit and your driver’s license. AAA and the Canadian Automobile Association both have these permits available, and it could save you a lot of trouble with a local traffic officer. The normal fleet of taxis in Cairo is black and white, and can be the easiest way to get around in a city with questionable traffic laws, winding streets, and buildings with no real address. It’s much better to get a taxi on the fly driving around instead of picking one up outside of a hotel or restaurant, where prices will be higher. There’s always a cab or two driving by, so it won’t be hard to flag one down. There’s no company to call to book a cab, so you’ll have to hail one anyway. There are no meters, prices are negotiated either before or after the trip. As a foreigner, it’s often easier to negotiate beforehand so the cabbies don’t try to take advantage of you, but you should expect to pay slightly more than if you waited until the end. Be reasonable with fares and you shouldn’t have any problems. Fares are a little higher early morning and late at night. Fares are paid through the taxi window after the trip and should be exact change. A short local trip should be around 3 Egyptian pounds, to get to the airport 20-25 Egyptian pounds. Yellow taxis are brand new and run off of natural gas. Cairo International is a modern airport about 15 miles northeast of downtown Cairo. Right now there are two terminals, though construction has begun on a third. Terminal 1 generally handles domestic and regional carriers, while Terminal 2 handles European, American, and other foreign air carriers. Terminal 1 is also known as the Old Terminal, even though it was actually updated more recently than Terminal 2. The two terminals are about 2 miles apart, though there is a free shuttle running between them every half hour. Most flights to Europe are direct flights, as are flights to New York. Other flights to the US usually connect in either New York or a European city. Flights to New York take about 10 hours, to London, about 5 hours. The airport has a mall near Terminal 1, and is working to add service and entertainment facilities for travelers. A taxi to downtown from the airport should cost around 40 pounds. The Egyptian Gazette is the oldest English-language newspaper in the country. It’s been in publication since 1880. It often takes a very Middle-Eastern friendly approach to the news, and is an interesting way to get a local perspective on world events. Business Today Egypt is a business magazine that focuses on the Egyptian business atmosphere. It’s read by both Egyptians and expatriates. The Bent Pyramid was the first true pyramid instead of a step pyramid. Halfway through the building process, the engineers changed the angle of the walls, giving it its unique shape. The pyramid is 344 ft tall. Like many of the pyramids, there is an additional charge to use a camera or video camera. This synagogue was built in 1905, but is rarely used now because of how few Jews live in the city. Be very polite and have a passport ready when you arrive, security here is very high and security will not hesitate to refuse entrance if they feel you may be a threat. The inside is beautiful and worth the hassle, and it has fantastic decorations. This gallery is run by the Egyptian government. It gives up and coming local artists a chance to display their works, including the annual Youth Salon, which shows off young artists. The Coptic Museum is an interesting combination of the different cultures that have lived in Egypt through the centuries. It is basically an art gallery organized by medium, with many works dealing with the ancient Egyptian gods or Coptic Christianity, sometimes with crossovers between the two. Part of the Opera House complex, but intended as a space for experimental performing arts, the hall hosts some of Cairo’s most interesting music and dance. With little cultural criticism in the local press to guide your decision, just take your chances; odds are the show will be worth seeing. There is also a café and gallery on-site. Opera has been performed in Cairo at least since 1840, though the Cairo Opera Company was established in 1964. Today, the Company’s repertoire has 32 productions and a permanent ensemble of 32 world class singers. The American University Bookshop downtown is the best source in Cairo for English books. They have a huge selection and will order most in-print books available in the US and UK. There’s also a Zamalek branch. This bookstore is known for its great selection of nonfiction books. It feels just like a bookstore should. The Anglo-Egyptian Bookstore is in the St. David building downtown. Irrigation has brought golf to Cairo, and the dry climate means your round should never be rained out. Be prepared for some awe inspiring scenery as you play, like ancient pyramids towering in the distance. Soma Bay is a resort that has two golf courses, one full championship course and another that’s a par three executive course. The Championship course is 7000 yards long and a par 72. It’s along the Red Sea, and has a driving range and pitching and putting greens. Dreamland has two courses, an 18 hole championship course and a 9 hole short course. The championship course is par 72 and covers 7,205 yards from the long tees. Dreamland City is a giant entertainment development, with theaters, a theme park, shopping, and more to do in addition to golf. Soccer is the most popular sport in Egypt, both to play and watch. The top teams are Al Zamalek and Al Ahly. They meet once a year in what is the most watched sporting event in Egypt. Both play their home games at Cairo International Stadium, the second largest on the continent with seating for more than 74,000. The standard unit of currency is the Egyptian Pound. 100 Piastres makes up one pound. Currently, one US Dollar is equal to five and a half to 6 Egyptian pounds. Egyptian bills are very colorful and have the denomination written on them on both sides. The more the bill is worth, the larger it is. Bills range in value from 5 piastres to 100 pounds. Coins come in denominations of 25 and 50 piastres. It’s common practice by shopkeepers to round up to the nearest pound. Banks are typically open from 9 am until 2 pm Sunday through Thursday. ATM’s can be used to withdraw money from an American bank, albeit for a fee. ATM’s are plentiful around the city, especially near hotels and tourist hot spots. The standard Egyptian workweek is Sunday through Thursday. Some workers end up working Saturday and instead take Sunday off, but for the most part businesses are closed on the Friday-Saturday weekend. Businesses usually open by 8 am and are closed by 4 or 5 pm. Shops typically open around 9 or 10 am and are open until 10 pm. They often are only open for a half day on Saturday and close Sunday. Also, they often stop during Friday prayers, which last from about 12 pm until 12:20. The US Embassy’s American Citizen Services Unit is open Sunday through Thursday from 8 am until 11 am. The Embassy’s website has listings of all of the services provided, along with a list of American and Egyptian holidays that will be observed by the Embassy, meaning it will be closed. The electrical current in Egypt is 220 volts, 50 cycle AC. Also, the plugs are round, so if you want to bring any appliances from America, you’ll need both a voltage adapter and a wall plug adapter. Laptops typically work just as well on a 110 volt current and a 220 volt current, so you’ll just need a wall adapter. It’s a good idea to check with the manufacturer first though. It’s best to contact the US Embassy to find recommended hospitals in your area. Levels of care vary greatly between hospitals, and many don’t accept foreign medical insurance. The Embassy will be able to help you the most when it comes to medical service. Each neighborhood is required by law to have a pharmacy open all night, so you’ll always be able to fill a prescription. However, pharmacies in an area frequently switch off which one stays open all night, so it will be easier to go during the day. Egypt is a very hot country, so dehydration and sunburn are the most common problems you’ll encounter. Also have bottled water with you, and cover up in the sun, and you should be able to avoid these inconveniences. Also, putting on sun block before going out is a good idea. Egyptian dress is generally more conservative than that in America, especially for women. While that doesn’t mean that women should wear a veil, generally neither men nor women wear shorts, except for at the beach. Light cotton pants or skirts are typical summer fashion, generally cut below the knee. Short sleeves are fine, but sleeveless shirts are less common. If you’re going to a church or mosque, dress more conservatively. Egyptians aren’t very tolerant of public displays of affection. Hand holding is about the limit. Light kissing on the cheek is reserved for close friends, both male and female. Although not nearly as important now, when sharing food with a group of people, always use your right hand to take the food. If you’re invited to someone’s house, bring a small gift like flowers. Don’t bring alcohol, unless you know your hosts drink. Saying please and thank you will help smooth your day to day encounters. Please is “min fad-lak” to a man and “min fad-lik” to a women, and “shu-kran” means thank you. Traditional Egyptian food is easy to find nearly anywhere in the city. Bean paste, falafel, crepes, and shawarma are common dishes, but eggs, salads, and other dishes are available. Hygiene standards in Egypt aren’t the same as in the United States. If you go to the most popular stands and restaurants, you should be fine, as the food will be much fresher. Western and Asian food is also present around the city. American fast food chains, like McDonalds, Kentucky Fried Chicken, and Pizza Hut are all plentiful in the city. Beanos and Cilantro are two popular café type chains that have salads, sandwiches, and soup. There are also a variety of Italian, Chinese, and other ethnic restaurants here. Dining in Cairo is very cheap, even a very expensive meal most likely won’t cost more than 100 Egyptian pounds, which is only about US$17. A budget stand shouldn’t be more than 10 EP. Most of the top tier restaurants are found within hotels. It’s worth noting that most cheaper restaurants won’t serve alcohol. The coffee house is an institution in Egypt. When coffee was first brought to Cairo, it was outlawed, but this was quickly overturned as the population clamored for it. Coffee houses also have tea and the sheesha, a water pipe. Alfa Market and Metro are two chain supermarkets in Cairo, and then three are plenty of stalls selling fresh fruits and vegetables. If you’re looking for organic food, Sekem in Zamalek is a good source. Also, grocery stores are the easiest place to find alcoholic beverages. Alcohol in Cairo is nearly all Egyptian-made, so don’t buy it unless you trust the store. Drinkies is a popular liquor store chain. It’s advisable that you not drink tap water while you’re in Egypt, at least not before boiling or otherwise purifying it. Bottled water is plentiful in the city. Also, remember to not get ice in drinks and to avoid high-water content vegetables, like lettuce and watermelon, until you get a feel for places with clean food. Islam is the state religion in Egypt, so all Egyptians observe Islamic holidays and government offices close. The Muslim lunar calendar varies each year, so there are no set dates for the holidays. Ramadan is the ninth month on the Islamic calendar and the holiest month in Islam. Muslims fast during the day and eat only when the moon is out. During the month, business in Egypt slows to a crawl, and it’s hard to get much done, especially during the afternoon. The country is much more lively during the night, when people socialize in the streets. It will be hard to find a restaurant open during the day during Ramadan, except for high class hotels. There are a variety of other widely celebrated holidays throughout the year, but government offices remain open during those times. The American International School in Cairo has about 1,000 students in it’s K-12 program. The school operates very similarly to the American educational model, and virtually all of its graduates go on to higher education. The British International School is built upon the British schooling system. It has 600 students, ranging from 3 to 18 years old. It’s senior high school system is specifically geared to the GCSE exam, similar to the SAT or AP exams in the United States. The Modern English School effectively straddles the differences between the British and American educational systems by having a few different options available for students as they go through the school. It has about 1,600 students in grades K-12. Cairo American College is another K-12 school based on the American school system. It has about 1,300 students and does offer bus service for an additional fee. The school is very community-focused. Al-Ahram Canadian University is a private university that is funded by a publishing country. It’s main focus is business education at both the undergraduate and post-graduate level. The American University in Cairo maintains some of its administrative offices in New York, so it’s still very connected to the American educational system. It has about 5,000 students, the majority of which are Egyptian, though all instruction is in English. The British University in Egypt is on the outskirts of Cairo in El Sherouk. This means it can spread out more and feel like a traditional college campus, instead of the compact urban schools. It’s a relatively new school based on the British system of education. The Future University is partnered with a few Scottish universities, so it offers UK degrees. The school is housed in what looks like a funky, modern version of the Roman Coliseum, and uses technology to a very high degree in all of its courses of study. This school has 6 courses each in both standard Arabic and colloquial Egyptian Arabic. It also offers combination courses. The Kalimat school also will customize courses to your specific needs, like if you’re a business person, the language taught can revolve around that topic. Prices here are relatively low, and the center offers good courses up to the intermediate level in both standard Arabic and in colloquial Egyptian Arabic. There are also classes for calligraphy and media-specific terminology. Egyptian mail service has improved greatly recently, but it’s still not quite to the same standards as that in the US. Most post offices are open from 8:30 am until 3 pm, but the larger offices, like the ones in Muhammad Farid downtown and the one near Ataba Square, are open until 6 pm. It costs 20 piastres (about $.03) to mail a letter within the country and delivery times are about 2 days. Same day service within Egypt is 5 EP, mailing a letter express to the United States will cost 45 EP. For more than 20 years, we have connected real estate companies with home buyers. Our services are used by builders, real estate agents, and dedicated relocation publications. NMS Real Estate is our new, direct-to-consumer website that brings together the best homes and the best buyers. We are rolling out nation-wide coverage gradually, so we currently have listings for specific cities and more areas are coming soon. Extended Stay America understands that moving can be stressful. Whether youre looking for discounted weekly hotel rates or long term monthly rates, Extended Stay America is your best hotel choice with full kitchens. Make your stay with us, and experience a home away from home. 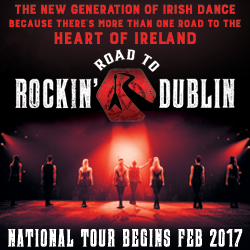 Rockin' Road to Dublin is the new sensation changing the Irish Dance world. A fusion of rock and Irish, Rockin' Road combines the best of both worlds to thrust Irish Dance back into the spotlight. This stylish, can't miss spectacle is the perfect balance between concert and stage show! At Rodan + Fields Dermatologists we are committed to connecting you with the products, the knowledge, the resources and the opportunities to change your skin and to change your life. Looking good and feeling confident has never been easier and it's all possible without a trip to the dermatologist's office. Our products are clinically proven to deliver on their promises and this has lead to a large and loyal customer base. Click on the link to visit our website for details! Click here to access our moving toolbox! Your one-stop-shop for all your relocation needs! NewMarket Services is the world leader in supplying relocation information. NewMarket publishes monthly Relocation Guides for 95 U.S. and 32 International cities. Our relocation information helps more than 1 million new movers every year.